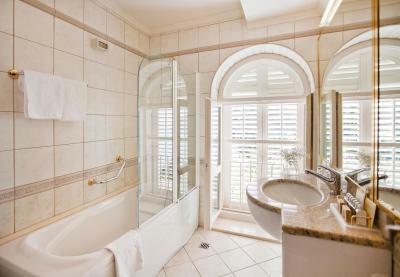 Lock in a great price for Grand Villa Argentina – rated 9 by recent guests! 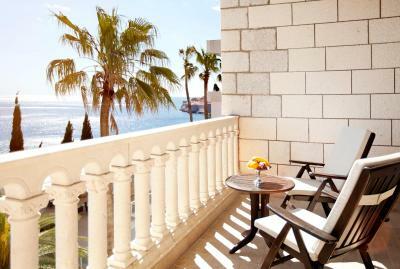 The location and the access to the sea are the best part of this entire hotel. Pool. Breakfest was very nice. Manger walked around asking guests opinions. The location was amazing, but the room was disappointing and outdated. Bathroom was not nice. The location is stunning, the staff are friendly and helpful. Breakfast is great and the setting could not be bettered. You could just sit for ages and look at the view. We went for my sons wedding and it was magical. 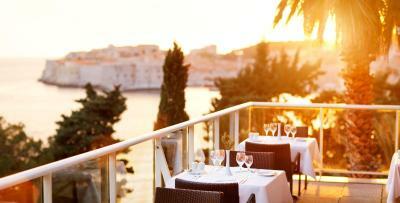 The breakfast buffet was good and the outdoor seating looking out at the old city of Dubrovnik was spectacular. The hotel doesn't have a typical sandy, wide stretch of beach. Its perched up on the side of the ocean with some sunbathing platforms that can access the water. This works well for adults but there is really nowhere for kids to play. There is a public beach a short walk away which might work better for parent of children. The hotel is very nice. Old City is a 10 minute walk away. We were upgraded automatically upon check in and stayed in an older section of the hotel. 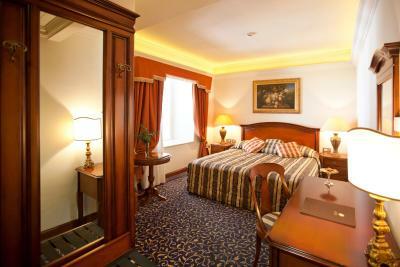 The room was big with very high ceilings and a small balcony overlooking the Adriatic. 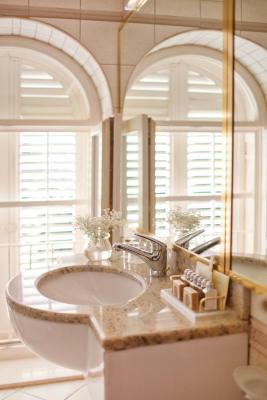 Beautiful property and room. Excellent location and a stunning view of the coastline. Excellent beach and pool area, love the bathroom amenities, location was great. 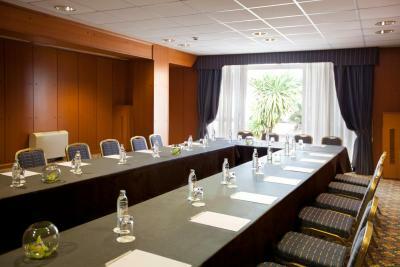 The room was spacious and comfortable, and the hotel was within walking distance of Old Town. The beach/pool area was very nice - the man who worked there (Nicki, if I remember correctly) was SO friendly and helpful. Wifi worked consistently, front desk was helpful in setting up any arrangements. Breakfast was amazing! Views are incredible. Only a 10 min walk to most attractions. Pool was fantastic. Staff was great. Grand Villa Argentina This rating is a reflection of how the property compares to the industry standard when it comes to price, facilities and services available. It's based on a self-evaluation by the property. Use this rating to help choose your stay! 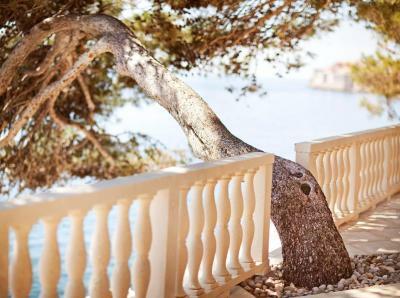 One of our top picks in Dubrovnik.Featuring direct access to the beach and an outdoor swimming pool with lounge chairs, Grand Villa Argentina showcases a sit-down restaurant with a terrace with panoramic sea views. 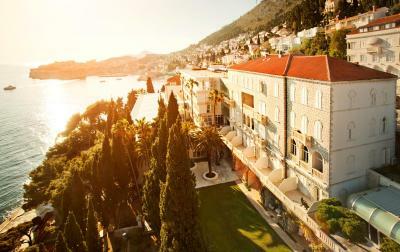 The UNESCO-listed Dubrovnik Old Town is just a 5-minute walk away. Free Wi-Fi is provided. Combining the old and the new, the property includes a historic villa and a modern building surrounded by gardens with Mediterranean vegetation. 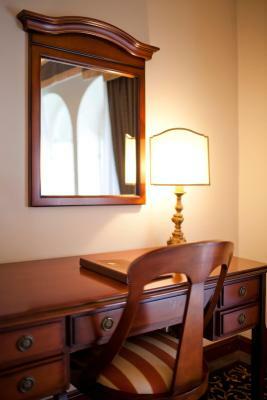 Classic-style rooms are equipped with air conditioning, flat-screen TV and a minibar. Breakfast is served daily. Grand Villa Argentina has a spa center, sauna and a gym. 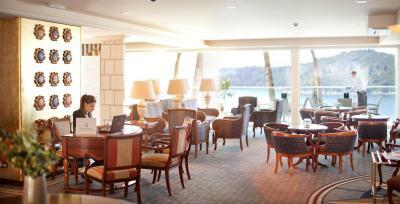 Grand Villa Argentina's restaurants and bars serve a diverse gourmet selection. Guests can enjoy open-air dining. 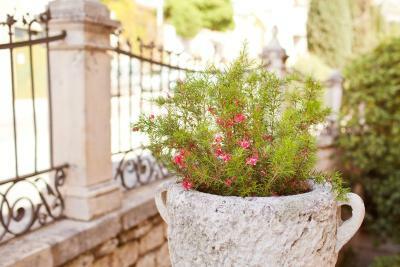 The vivid Stradun Promenade, monumental Dubrovnik Walls and various historic sights can be explored within easy walking distance of the property. 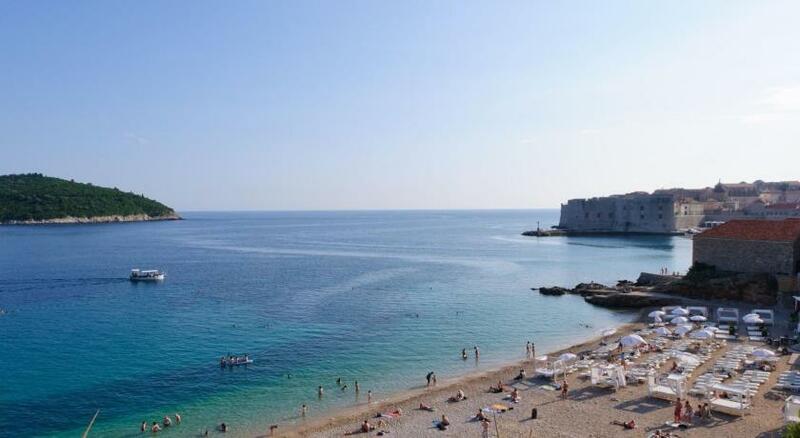 Ploce is a great choice for travelers interested in food, scenery and the oceanside. 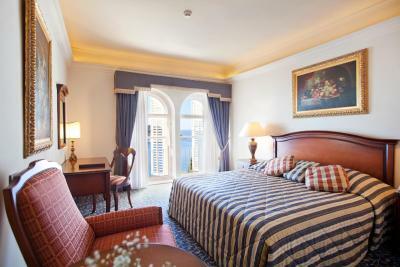 When would you like to stay at Grand Villa Argentina? 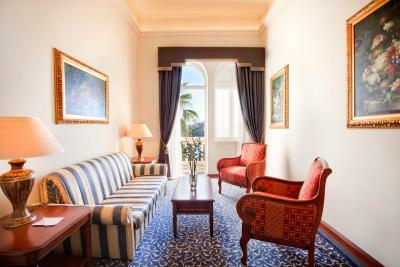 This classically furnished room has air conditioning, a flat-screen TV and a minibar. 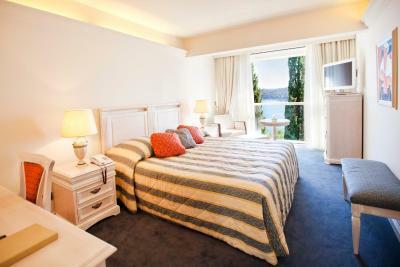 In the modern part of the complex, this room offers views of the Adriatic Sea and the Island of Lokrum. This classically furnished room features an inland view and is equipped with air conditioning, a flat-screen TV and a minibar. This room is in Villa Argentina, the original part of the complex. 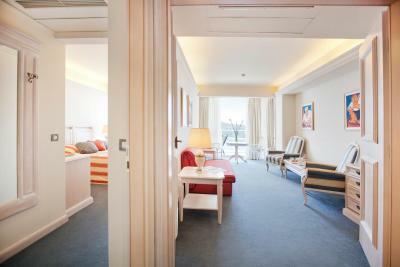 Decorated with stylish furniture and modern amenities, the suite features air conditioning, living room with a flat-screen TV and a minibar. 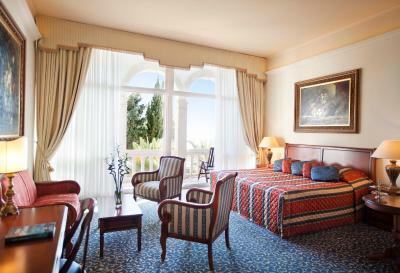 This classically furnished room has an inland view in the modern part of the complex, equipped with air conditioning, a flat-screen TV and a minibar. 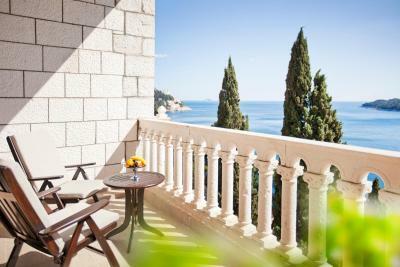 Featuring a balcony offering views of the Island of Lokrum and Dubrovnik's Old Town, this classically decorated room includes air conditioning, a flat-screen TV and a minibar. 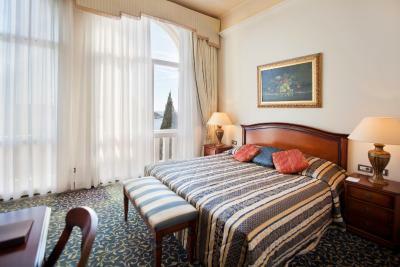 Set in the original part of the complex, this classically decorated room features views of the Adriatic Sea and the Island of Lokrum. 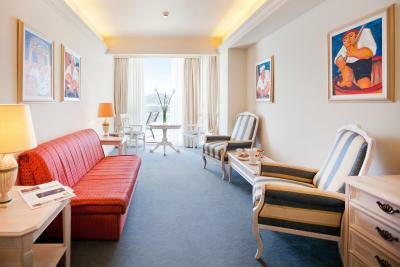 It is equipped with air conditioning, flat-screen TV and a mini-bar. 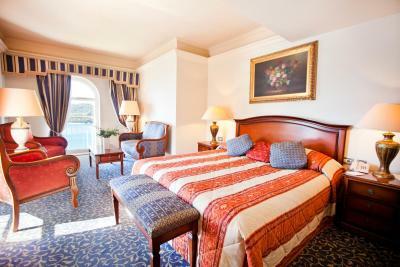 This double room has a balcony, bathrobe and sea view. Hotel surroundings – This neighborhood is a great choice for travelers interested in food, scenery and the oceanside – Check location Excellent location – show map Guests loved walking around the neighborhood! House Rules Grand Villa Argentina takes special requests – add in the next step! Grand Villa Argentina accepts these cards and reserves the right to temporarily hold an amount prior to arrival. Please note all payments are made in Croatian Kuna (HRK) based on the current exchange rate on the day of payment. Please note that for nonrefundable rates, the total price of reservation will be charged on the day of booking. City tax is excluded from the price and will be charged upon check out. None - Everything was great. Got upgraded to Villa Orsula next to it, very pleasant surprise and it was great! Had the breakfast by Grand Villa Argentina and it's great selection too. View is unbeatable. Walking distance to the old town and gives a nicer further away view of it too. Very close to the old town, friendly staff, clean and amazing views! The indoor pool was pretty cold. Staff were great, room was very good, food was pretty good too. In all the structure it was MUCH too hot! They heat like in central Europe in the winter. Corridors were so hot, and bathroom was like a sauna. Not pleasant. Materass was AWFUL! Very old and very soft so that if you lie on the side you almost fall out of the bed. Room 719... Staff is correct, but absolutely not personal and not cordial! Upon check out noone asked how we liked the stay. Very impersonal service. No smiles of staff at reception and breakfast room, or porters. 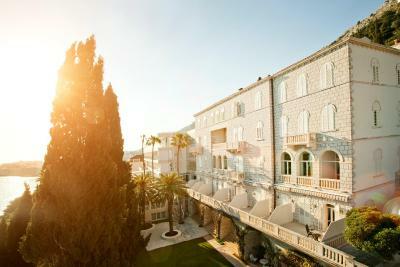 We travelled to 7 Croatian hotels and this was the one that disappointed us most! We did not like it, except the position and view. Rooms are very small, you have no space to put your things. In the bathroom is no space either. Bathtub is TINY, if you are 180cm tall and 80 kilos you can not go down to wash yourself properly. Walls are THIN, you hear every single noise from corridors and neighbours. All in all we hoped to find a luxurious hotel, but we were pretty disappointed! Entrance looks awful, very neglected and depravated. Needs URGENT painting from outside at main entrance!! The position of the hotel is very nice, in a big park, directly on the ocean! The lobby is ok, but old fashioned and needs modernization. The fitness facilities were not on par with standards, but allows for a good run facing the sea anyhow. We were really pleased with the rest of our experience at Grand Villa Argentina. Water in Dubrovnik was unsafe for drinking due to heavy rains during our stay. The hotel provided bottled water but alas it came to late for me as I developed a severe stomach issue. Beautiful hotel with stunning views. The reposition of the buffette breakfast items such as orange juice, should be more dilligent. The products for bathing L’Occitane, is a very good idea, since hotels generally use low quality products and I have to carry with my own stuff... this time it was not necessary! 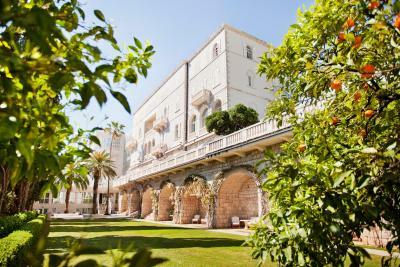 I took my mom to Dubrovnik for the first time, Grand Villa Argentina with their amazing facilities and wonderful personnel made our trip unforgettable! From reception, bar, room, restaurant, you can only compliment this hotel! Delicious breakfast, close to the city and supermarket (10 min walk), room with seaview, above the sea, spacious room, a bottle of water every day, everybody was nice and helpful, big balcony, astonishing view on the old city. December is great time to visit Dubrovnik, not a lot of turists, warm, great chistmas spirit in the city, concerts. The furniture are old. Overall the decoration is old fashioned. Mattresses are of poor quality and beds are uncomfortable. The staff was fantastic really amicable and always ready to help. 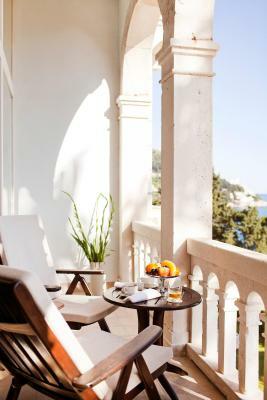 Good breakfast and great terrace. The views from the bedrooms are stunning. The hotel completely deserves 5 stars. Jacuzzi and pools were quite cold. 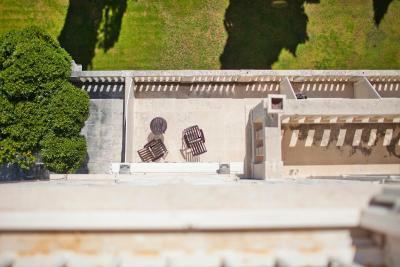 Amazing view and beautiful grounds. Lovely breakfast and great, friendly staff.